The Tecnifibre Pro RedCode tennis string has been developed to provide durability, control and spin. As the string offers excellent directional control and bite, it is particularly recommended for players with a fast and aggressive stroke style. The Tecnifibre Pro RedCode has a 1.30mm gauge and is available in a 200m reel. for submitting product information about Tecnifibre Pro RedCode 1.30 Tennis String 200m Reel We aim to answer all questions within 2-3 days. 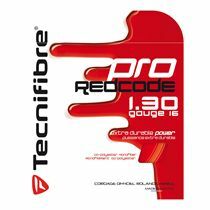 for submitting product information about Tecnifibre Pro RedCode 1.30 Tennis String 200m Reel. We aim to answer all questions within 2-3 days. If you provided your name and email address, we will email you as soon as the answer is published. 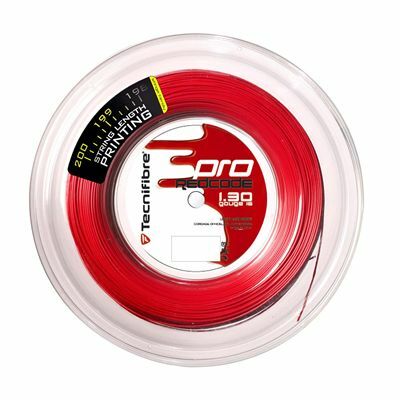 for submitting product review about Tecnifibre Pro RedCode 1.30 Tennis String 200m Reel.